Kelly Orchards is a family farm founded in 1982. 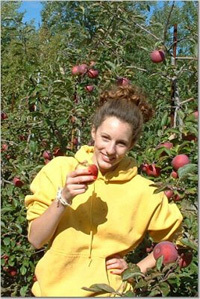 We specialize in tree fruit and also raise berries, pumpkins and fall squash. Our crops are grown using Integrated Pest management (IPM). IPM uses cultural practices, natural predators and pesticides to control pests and diseases with as little impact on the environment as possible. We monitor pest presence in the orchard by scouting, using pest specific traps, weather conditions and degree-day models to predict pest in-migration. We use cultural practices and careful selection of pesticides to promote natural controls and predators of pests. We time sprays to only spray when pests are present and have reached damaging levels and use selective rather than broad spectrum pesticides with low toxicity to non-target organisms so there is minimal impact on the environment. Kelly Orchard's mission is to make available to local consumers the highest quality fresh fruits, to provide them with an enjoyable experience when they visit the farm and to produce our products with the least impact on the environment possible. 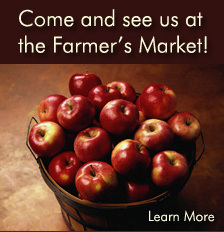 We market our fruits PYO, retail at the farm, at farmers markets and wholesale. Contact us for more information. Find out what is going on and available on our Facebook page. 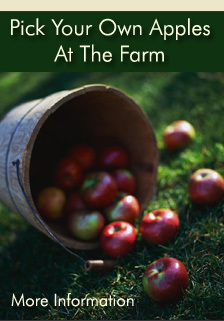 You are always welcome at Kelly Orchards. We are open daily, 9am-5pm in season, call ahead for what's available. Hope we see you soon, The Kelly Family.